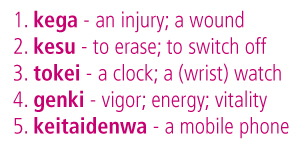 Each kana character is shown in five various type styles, so you'll be familiar with subtle differences when you encounter the character in print. New mnemonics in 2015! 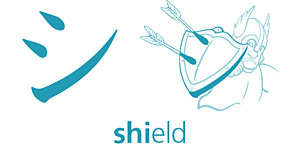 The katakana character shi is depicted as a shield defending against arrows along with the text "shield" which reinforces both the visual mnemonic and the pronunciation of the character. Each card includes five common vocabulary words. 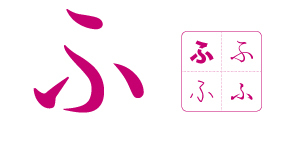 Vocabulary is written kana scripts, with the English reading and definition on the flipside. You'll be writing hiragana and katakana in no time with our easy-to-read stroke order diagrams. Graphical arrows are used to indicate the direction of each stroke. We've produced a free pronunciation guide for each character (see the download link to the right). You can also purchase our audio companion (sold separately) which includes all the vocabulary read by native Japanese speaker. If you are looking for a shortcut into the Japanese language, this is it. The absolute first step ... should be the mastering of Hiragana and Katakana. With these cards and a little work...you will be able to recognize and maybe read a little Japanese even the first day. I started with the first 5 "a, e, i, o, u" and got those memorized ... about 1 hour 45 minutes later I had the entire Hiragana alphabet memorized without a single wrong answer. In my opinion, the real magic to these cards once you can associate a picture with the letter and the sound it makes, it just seems burned into memory. I couldn't believe how easy and fun it was to learn. Went from worst to first in Hiragana thanks to these cards! 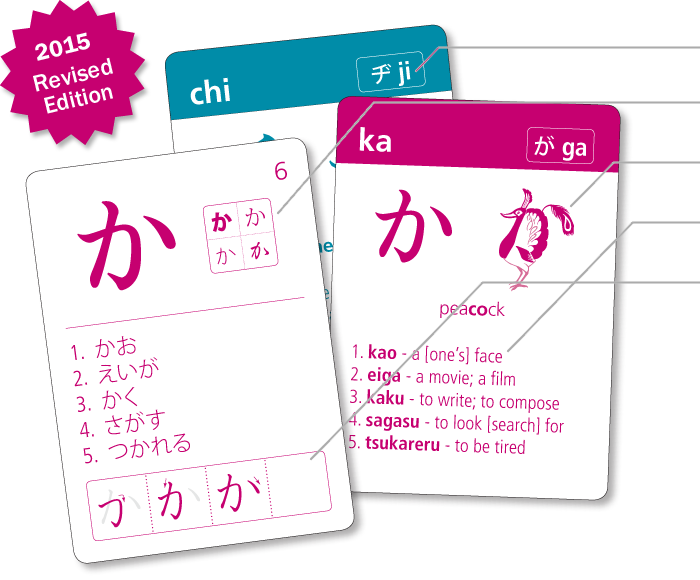 These flashcards are a terrific learning tool for those who are learning hiragana and katakana. Not only do the cards provide the character on one side and the English equivalent on the other but they also have cleaver mnemonic devices to help you remember... the hiragana character for "mo" looks like a fish hook, so the card says "you'll catch 'mo' fish with this hook." It sounds silly I know but things like that really helped me learn! I can't say enough good things about these cards!! I am extremely happy with the cards. With these cards, I learnt all the hirigana and one day. And when I started learning the katakana, I surprisingly learnt all of them within an hour!!!! Learning the Hiragana and Katakana characters takes perhaps an hour (each) with these cards. Once you have them figured out, it's only a matter of repetition to ensure you learn them in long-term memory.